I love sad movies: the tear-imposing, hope-impairing films that by their finale have lost all resolve. If I go to a cinema to see what I anticipate will be a gloomy movie, I want to leave that theater, two hours later, in shambles. I want to get into my car and ride home in silence. A necessary silence because I know that no melody can parallel the mental melancholia of what I just experienced in that cold, dark theater. I love sad movies. Weird? Maybe. As someone who wastes way too much time and money pursuing cinematic nirvana, I’m okay admitting that my taste in film is offbeat and probably a bit pretentious. But I do find something edifying about subjecting myself to a movie-going experience that will, instead of removing me from the commonality of human struggles, shower me in them. While the big screen tends to favor the chin-up, “I can count my weaknesses on one hand” character driven films, I’ve found the small screen to be a gold mine of emotional obliteration. Netflix is bursting at the seams with understated, depressing dramas, and they are only $8.99 per month (or a tactical mooch off of your best friend’s account). With some careful blog excavation and Rotten Tomatoes research, you can find some truly devastating movies to stream. Movies that you feel compelled to re-watch, but just can’t. Movies that can resurrect the obscure film snob in all of us. 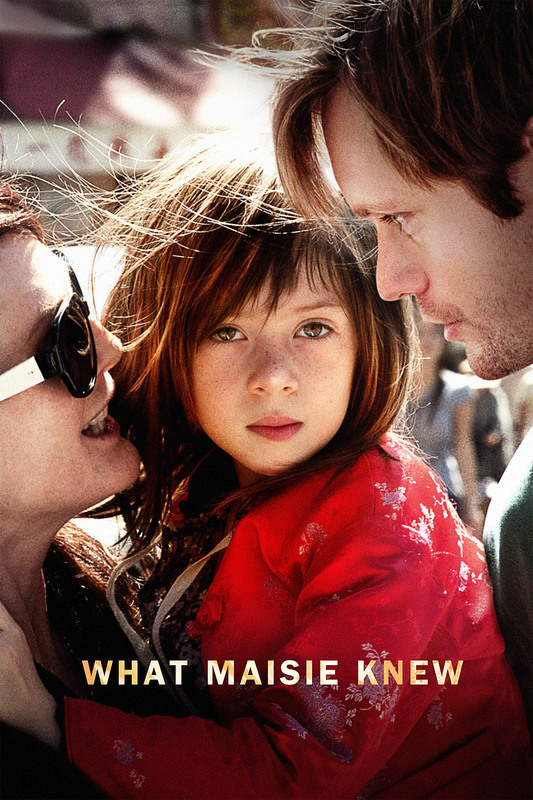 My most recent Netflix sob discovery is What Maisie Knew, a modern retelling of the 1897 Henry James novel. What Maisie Knew presents the savage clash of a custody battle through the eyes of a heart-melting six year old, Maisie. The father (Beale, played by Alan Partridge himself, Steve Coogan) is a wealthy, British art collector whose job keeps him busy and immune to connection. The mother (Susanna, played by Julianne Moore) is an aging rock star who clings desperately to the crumbles of stardom that have left her a twenty-two year old in a forty-two year old body. Their self-driven nature steers everything in their lives, especially their love for innocent Maisie, who is stuck trying to rationalize her parents’ actions. From the get-go, both Susanna and Beale impose a parent-child role-reversal onto Maisie. Susanna often speaks to Maisie as if she were the drummer for her tour band rather than her six year old daughter, while Beale uses his condescending tone to mask adult conversations with her. All the while Maisie shows an unfortunate maturity, or maybe just an obliviousness to how a six year old’s life ought to look, dealing with tasks that should be foreign to her. “Do you know why I married Lincoln? 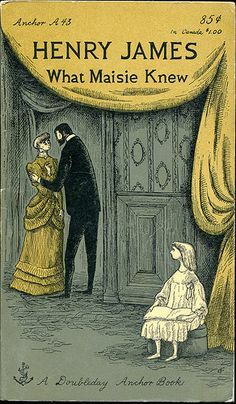 I married him for you.” In a faux attempt to love, both Beale and Susanna veer straight past Maisie and increase the body count of their personal war. As the story progresses, Susanna and Beale continue to dump Maisie into the care of their young spouses. Because of this, Margo and Lincoln are forced to spend heaps of unplanned time together, and they bond while trying to figure out how to best care for Maisie. Lincoln and Margo grow more and more distressed with the antics of Susanna and Beale, together, and, with time, their love for Maisie increases, together. Mid-way through the film, it is obvious what the director is attempting to accomplish: he wants his audience to root for Lincoln and Margo to end up together. As impossible as it seems, he wants us to hope for Maisie to end up as their daughter instead of Susanna and Beale’s, and he succeeds. I wanted Margo and Lincoln to end up sitting in rocking chairs outside of a small, suburban house while Maisie painted trees and stick figures on the driveway with sidewalk chalk. They just… loved Maisie better, but even with Lincoln and Margo’s conjoined care for Maisie, things still go very much awry. 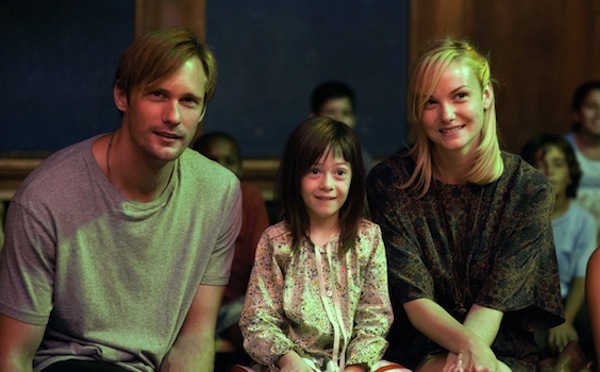 Over a truly dismal string of scenes, Maisie finds herself with no mom, no dad, no Margo, and no Lincoln. Susanna has left Maisie standing at the steps outside of the restaurant where Lincoln works. Maisie walks inside alone, but Lincoln is not working. While Maisie sleeps in a back room, other waiters attempt to contact him, but to no avail. She wakes up in an unfamiliar home. There’s strange music playing, and strangers walking around. Maisie begs for Margo, but who is Margo to these people? She lays back down in a stranger’s bed and one heart wrenching tear rolls down her cheek. Eventually Margo finds her, but for three minutes and twenty-six seconds, there is no hope. Maisie is wronged in a way that seems unfixable. As a viewer, my mind wandered and projected all the awful things that could have happened to a helpless six year old girl in her situation. It didn’t matter who I wanted Maisie to end up with because every available option had failed her, and it didn’t matter if it was done intentionally or not. All that mattered was that they had failed her big. The brokenness would never disappear from Maisie’s life, even if Maisie left her two self-occupied parents to live with Lincoln and Margo. Obviously Margo and Lincoln were not perfect. Margo had, as Susanna tagged it, a “daddy fixation” and a presumably troubled past. Lincoln had plateaued in life as a dimwitted bartender. And let’s not try to cover up the fact that somewhere down the line Maisie would have to address the fact that her biological parents abandoned her. The handing over of Maisie to Lincoln and Margo might seem like the most loving thing Susanna and Beale could do, but that doesn’t mean it wouldn’t break Maise’s heart. The further I got into the movie, the more I understood that whether I saw the true ending of the story or not, it would end in pain. As a result, my care for Maisie grew tenfold. I couldn’t help but wonder how this must, on the tiniest of scales, be similar to how God watches and walks with His children. Unlike me, who can only watch Maisie’s story unfold, our Father intervenes in our lives and in our struggles. Which doesn’t mean He ever removes them completely, this side of death. But I thought about how my most common request to God is to get me out of “fill in the blank” situation and into another, and how even when I do find rescue from such situations, the next one breaks and it hurts just as bad if not worse. Just as I wanted to weep and laugh with Maisie during her struggles and her times of happiness, Christ wants to grieve with us in our pain, and celebrate with us in our happiness. The difference between me and him, of course, is that He actually can. And He actually does. By not plucking us out of every bad situation we find ourselves in and transplanting us into new ones, He communicates that He is closer to us than we could ever imagine. If His love is truly perfected in weakness, as Paul claims (2 Cor 12:9), perhaps that love is what enables us as the Margos and Lincolns, and even the Susannas and Beales, to see, love, and suffer with one another. If you haven’t already, check out What Maisie Knew on Netflix and let me know what you think. You may be surprised by the ending, especially after reading this. Thanks for the recommendation, Joe. Have you posted somewhere other “sad” flicks you’ve found [I won’t say enjoyed]? No problem Dave! This is my first post on Mbird, but hopefully I can share more Netflix gems in the future! Joe, please make this a series. I want to hear more of your Netflix picks. Thank you for sharing!! Thanks for the kind words, Page! Have you seen “Her” yet? I’d also like to see what you uncover mining Netflix. More of these columns, please!